Quite standard resume template that is applicable to most of the vacancies. You may notice the career path of the electrician – one was growing from entry level jobs to master level position. This is a good sign and if you have alike experience too this would be nice to have it specified in the same format. 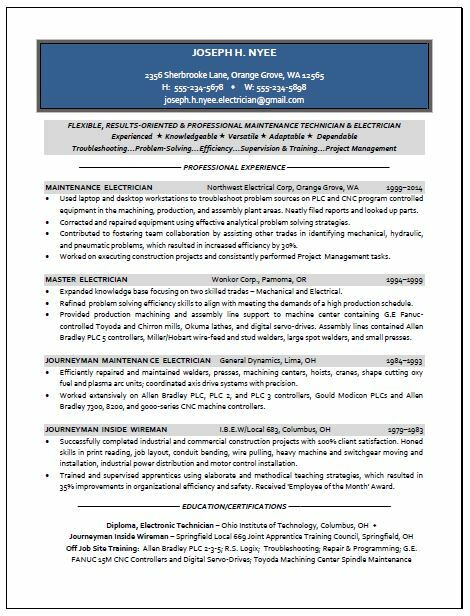 Keep in mind this template is available for editing by our professional resume writers who were doing resumes for electricians and other engineering jobs before and who know how to best meet the hiring side expectations! Senior Electrical Technician Wanted in Abu Dhabi.